The social and political havoc wreaked throughout Asia after the bubble burst. Indonesia's financial ruin was the catalyst for its social collapse. Suharto stands accused of plundering the nation's wealth, crushing those who protested. He ignored the extent of his country's economic crisis, and continued to reward his children and swarms of sycophants with unjust riches. But recent weeks saw Indonesians send their ruler a powerful message: the old values don't count. Almost like lightening, the world's second longest dictator stood down. Is Prime Minister Mahatir of neighbouring Malaysia making the same mistakes as Suharto? The economic crisis has ruffled Mahatir's feathers too. In power for 16 years, he is also known for corruption, cronyism and nepotism. Before the crash Suharto's family wealth was put at US$6 billion. Mahatir's three sons are directors of at least 200 companies. Both leaders made no secret of their 'crony capitalism': the best deals went to the government's best friends. Mahatir calls that 'the duty of government'. Both countries have put development above all other concerns. Indonesia's frenetic logging of the Borneo rainforest caused the terrible forest fires that raged there. Mahatir was furious when forced to abandon his scheme to flood ancient Sarawak rainforest by building the Bakun damn. The crisis in Indonesia made ethnic Chinese the target of resentful attacks. 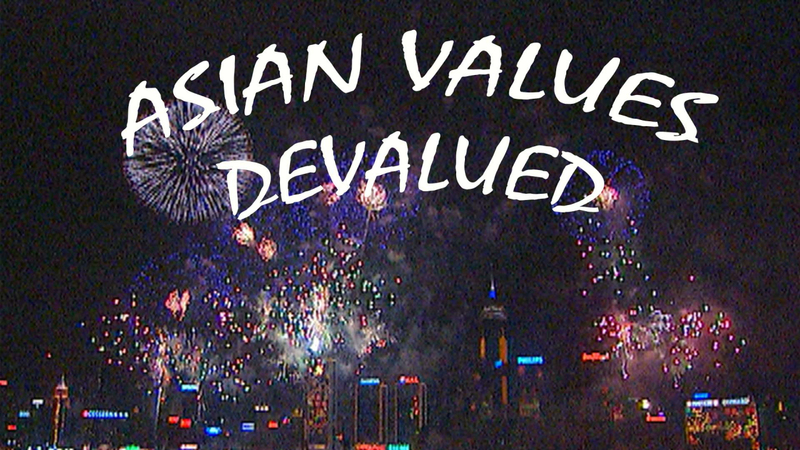 In Malaysia, the nervous Chinese have been scapegoats before. Malaysia's Deputy Prime Minister Anwar Ibrahim is tipped for the top. In the spirit of the changing Asian values he concedes 'We've got to be more democratic. The younger generation would like to see greater transparency, and tolerance'. Indonesia's new President Habibie is now releasing political prisoners and promising an end to corruption. But as a child of the old system, it remains to be seen whether he is really the right man for the job. The excesses of the ruling Indonesian elite devalued as fast as the rupiah. Other countries in the region are still suffering the same economic turmoil, but have not yet seen such momentous political change. 'My pay's been cut, my tears now fill my car... I took years to buy it and it's being repossessed!' croons a Thai pop-star. Across the region the poor are getting poorer. The Tiger economies were forged with the sweat of cheap labour. As work dries up and food runs out, will the people's anger erupt elsewhere? In these most turbulent times, we ask whether Indonesia's powerful winds of change are set to blow across the whole of Asia.